Look like OO serie mecha 55. I thought the Alter Arbalest was supposed to be a model kit. Were they not satisfied with performance of the Revoltech Laveatin? Why is it that a lot of mecha not owned by Bandai never seem to come out in decent merchandise. For FMP aside from the Revoltech there’s only the three bland Mode Lock kits and now this expensive action figure. It’s disheartening when you consider how Konami has Kaiyado literally crapping out Gurren Laggan mecha left and right, even though some of the marketing decisions for the GL Revlotechs are retarded. Also, to the blog owner, where are the blog post titles? about effing time, they said that it was going to come out like 3 years ago! 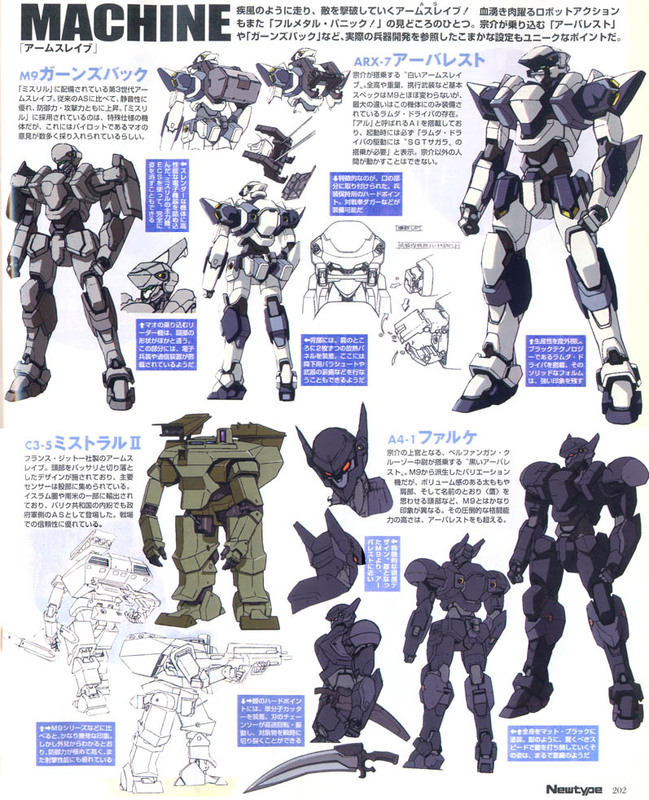 Alter’s Arbalest was always a figure. They just took damn long to finally decide to release it – so long that the release hardly matters as much as when they announced it. Revoltech Laetvatein was even only a dream (or not) when Alter was making headlines with this! Heck, last year they said it would be released June/July/August ’08. Wouldn’t be surprised if it gets pushed back more. And oh, only Bandai has the experience. Koto is catching up a little, though. But Bandai is still the biggest company when it comes to these things, so don’t be surprised. It took them 2 damn years from its initial announcement to finally release this and this is the best they could have done?! For a figure, I am disappointed on this one’s articulation. And it also lacks the ability to store the dagger on its front mask. NOT WORTH IT.